Dog leash during breeding season: beware of these dangers! Learn now the most important reasons why to keep your dog on a leash during breeding season! Spring is approaching and so is the breeding season of wild animals. Special care should be taken by dogs owners because, in the case of an emergency, hunters may be allowed to shoot an unleashed dog. Learn everything you need to know about dog leash responsibility during the breeding season! Why is it so important to use a dog leash during the breeding season? Your dog will definitely enjoy running free during your walks together. However, a free-running dog in the breeding season can pose a great danger to the wildlife and to himself. The breeding season is between April and July. During the breeding season, wild animals breed and bring their offspring into the world. Especially ground breeders and juveniles are affected. If your dog catches a scent, he will follow it. The wild animal will either defend his young babies or flee. Most of the time, the young animals are left behind and could fall victim to your dog. Therefore, using a dog leash during the breeding time is essential. Letting your dog run free carries some dangers with it. Nevertheless, you should not forbid your dog from feeling free. There are special dog-friendly fields on which dogs can run, jump and play, and do this free from worries. Disregarding the dog leash requirement can be penalized with up to a 500€ fine. Another alternative is the tow line. 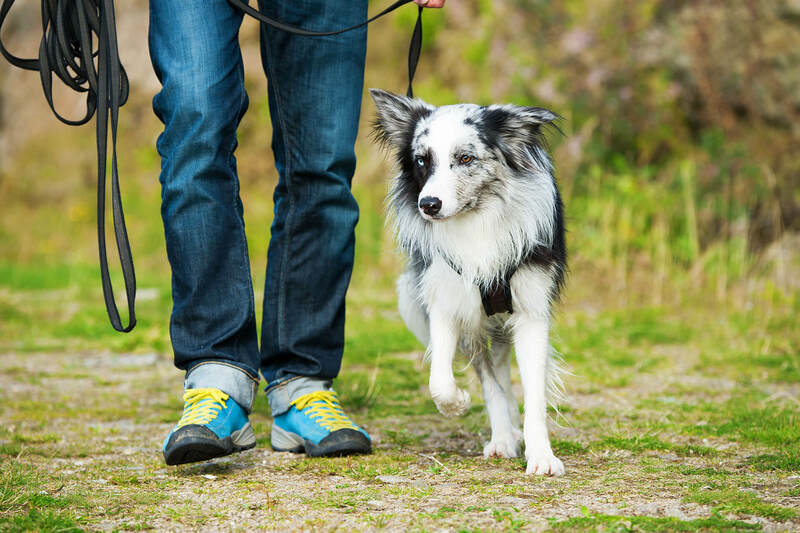 This way, your dog can enjoy the walk outdoors in a controlled manner. How to get my dog accustomed to a dog leash? Take baby steps: don’t draw too much of his attention to the leash. The first few times, try to put the leash on him, while distracting him with something else. This way, he will not be fearful when seeing the “foreign object” on his neck. Find the right leash for your puppy: make sure that the dog leash is also comfortable, not too tight or irritating to your furry friend. Associate the dog leash with mealtime/playtime: when the leash is associated with food or playing, your dog can come to accept it much easier, so then you can move to the next stage of walking together on a leash. Encourage your puppy: give your furry friend time to get accustomed to the leash, talk to him gently and calmly. It’s important to build trust in the relationship with your dog, so he gains confidence in you and then accepts the leash easier. Feel free to encourage him with little treats every time he does it right. Be persistent: even if the results may take some time, don’t give up and be persistent in your rituals. Dogs can see the leash as a restriction, so be patient. By being persistent in your training, your dog can get accustomed to the leash and walk well with it sooner than you think. 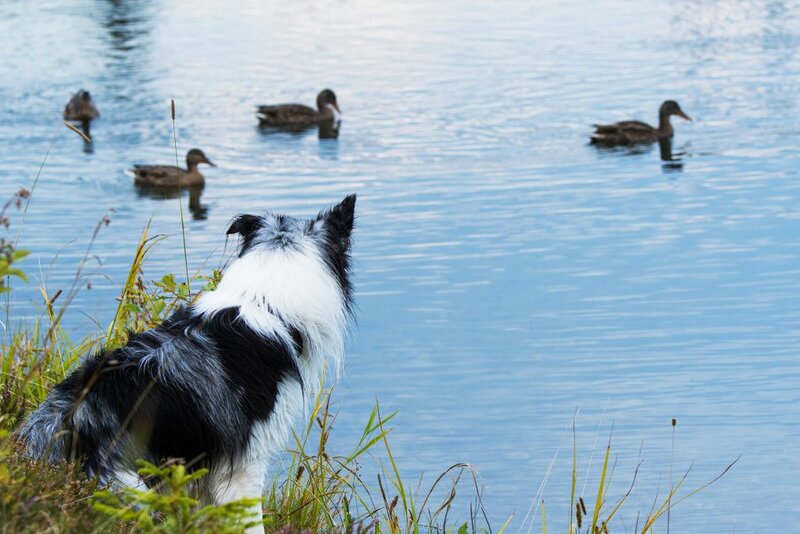 My dog walks around freely – can he be shot down by a hunter? Depending on the region, there are different regulations. If there is a danger for the animal in question, the dog may be shot down by the hunter. However, each region defines the “endangerment of the wild animal” differently. It is best to inform yourself in your community about the current regulations on poaching of dogs. Before releasing your dog from the leash, make sure you’re aware of all the potential threats! That puts you and your furry friend on the safe side. Share this article on social media, if you find it informative!